Essentia Pump is a block added by the Witching Gadgets mod. When attached to the tubing system, it will recognise current suction for a certain Essentia type and pull it to the system from nearby mirrors. 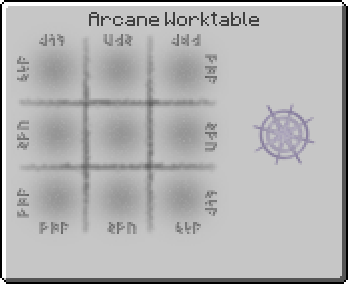 "Essentia Mirrors may allow the Infusion Altar to pull essentia over long distances, but most other devices are unable to utilize them. In order to save yourself a lot of tubing, you have invented the Essentia Pump. When it is attached to a tube system, it will recognize the current suction of the system and draw the matching aspect from nearby mirrors." Essentia Pump has no known uses in crafting. This page was last modified on 19 July 2016, at 16:24.